For many motorcycle riders, there’s nothing better than a long ride on the open road. However, while many prefer scenic routes off the beaten path, it’s not always possible to avoid traffic. 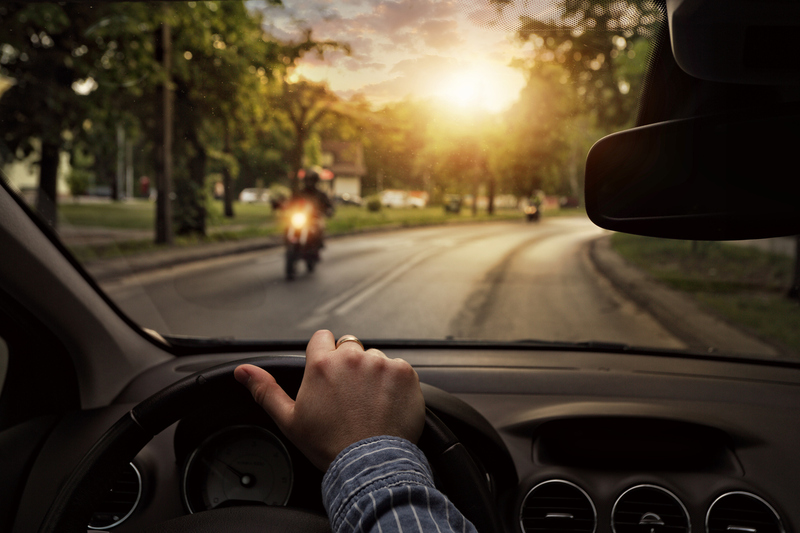 The number of vehicles on the road continues to increase, and motorcycles are often less visible than other vehicles, which can create dangerous road conditions if drivers and riders aren’t alert. Here are some tips for sharing the road safely. Wear the right gear. Remember to wear protective clothing and eyewear, and always wear a helmet. Helmets significantly decrease the chance of head injuries and fatalities in accidents. Stay visible. Ride with your headlights on and wear bright colors to help stay visible to drivers. There are many brightly colored jackets and helmets specifically designed for this purpose. Avoid bad weather. To the extent possible, avoid riding in inclement weather. Not only is it unpleasant, but severe weather like rain, sleet, or wind can also increase your chance of getting into an accident. Be aware of your surroundings. Keep an eye out for loose gravel, potholes, and other unexpected road conditions while riding. Follow the speed limit. Speeding is one of the biggest factors contributing to motorcycle crashes. Stay in your lane. Treat motorcycles as you would any other vehicle. Give them space, and do not attempt to ride in the same lane as a motorcycle. Stay alert. It’s important to drive attentively—especially at intersections and during inclement weather. Increase following distance. Increase your following distance to about four seconds when behind a motorcycle. At most legal driving speeds, this gives you enough time to react if something unexpected occurs on the road. Pass slowly. Not only can passing a motorcycle quickly catch a rider off guard, it can also create an unexpected gust of wind that can affect the rider’s balance. If you’re going to pass a motorcycle, pass slowly and remember to check your blind spots. Pay attention to turn signals. Signal early to alert other drivers and riders of your intention to turn, and keep an eye out for motorcycle turn signals.